There is an idea which has always simultaneously fascinated and terrified me. It is an idea so simple and powerful, and so obviously true, that calling attention to it, at least for me, feels akin to perpetually indicating the nose on your face. We are “thrown into the world” (as Jean-Paul Sartre put it), alone, terrified, and essentially forced to figure out what the hell is going on. The beginning of our lives is a sort of slow adjustment to the reality that there is more to the world than us. We have to learn that the world is not a mere extension of ourselves, and that many of the other things in the world have a similar subjectivity as we do. We have to discover other people! 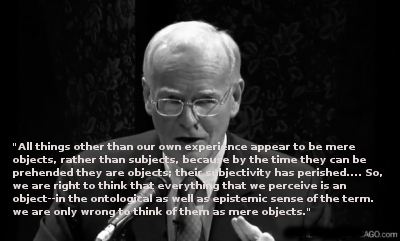 And, after doing so, while we slowly become individuals with our own identities, preferences, and personalities, we are then capable of having relationships with those other people (as David Ray Griffin put it, other people are indeed objects, just not “mere objects”). However, sometimes something goes wrong along the way and our sense of self does not develop in the healthiest of ways. Whether through neglect, abuse, or some type of suffocation, some of us do not create an ideal sense of who we are and thus don’t have the tools to create healthy and proportional relationships with others. One aspect of this, especially for people within some personality disorders, specifically Borderline Personality disorder (in my case), is the fear of being abandoned, rejected, or in general not validated. Being alone can sometimes feel overwhelmingly lonely and depressing for most of us, but for some this experience takes on another dimension. 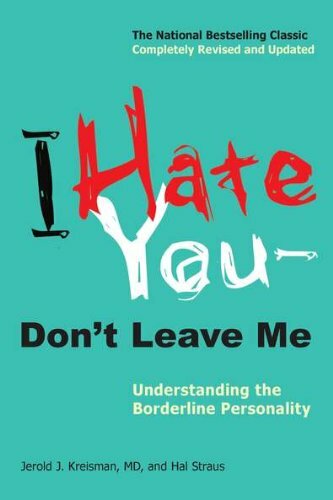 As the book I Hate You, Don’t Leave Me put it, borderlines often perceive “temporary aloneness as perpetual isolation.” Thus, many borderlines will flee from being alone, often in dramatic and destructive ways, and often repeatedly. There is a sense, for many people who suffer from this experience, that we become defined and meaningful through other people rather than through our own actions. The resulting shifts in mood, potential impulsive (and often destructive) behavior comes from a place of deep insecurity, fear, and lack of clear identity. These feelings can be transient, chronic, or they can come and go (especially as other diagnoses, such as bipolarity, depression, and anxiety come into play). Whether feelings of emptiness, sadness, or rage emerge, it is clear that there is a significant problem to be addressed here. And the issue becomes a question concerning to what extent others can help, and in what specific ways they should help. One potential outcome to these feelings, for many borderlines, is a kind of co-dependence (I Hate You, Don’t Leave Me mentions how narcissists and borderlines can fall into this trap), a relationship of manipulation, or one of out-right abuse. There are, of course, ways out of these traps. And navigating these issues becomes an important concern for anybody who has relationships with those who are subject to such fears of abandonment, neglect, etc. And, naturally, someone who is polyamorous has a related set of concerns, which may differ from the general concerns of people in more traditional and culturally acceptable form of monogamy/monoamory. So, the obvious questions; is the maintenance of multiple relationships merely an attempt, for a person who might suffer from these symptoms consistent with Borderline Personality disorder, to stave off abandonment, loneliness, etc by hedging their bets? After all, if you have 2 partners, one leaving will not be as bad when you have the other, right? Is polyamory not just another form of the oft-discussed (within borderline literature) issue of transient, unstable, and problematic relationships, where parallel is used in place of serial relationships? Whereas non-poly people might utilize “shingling” (overlapping serial relationships), polyamorous people might do the same thing when they add a new relationship if another is experiencing problems. I believe that this is at least true for some people, but to what extent this is a motivation for polyamorous people I cannot judge. It is up to each of us to examine our own motivations, fears, and strengths in order to figure out whether we are doing what we are doing for mostly good or bad reasons. All of us are capable of selfishness, lack of empathy, as well as loving attention to varying degrees. If we can figure out where we are not behaving ideally and fix those spots, while simultaneously figure out where we are being good partners and emphasize those traits, I think we will slowly improve as partners as well as individuals. If we are to improve ourselves, we should do it for others but we should also do it for ourselves. I could talk all day about how, ideally, we should be free to pursue the people we love in the ways that we love them, without undue deference to social expectations and traditional relationship structures. If I love 2, 3 or more people, I should be able to honestly, freely, and ethically pursue those relationships. But there will inevitably be some part of each of us which will self-justify and rationalize a deeper set of feelings and thoughts which derive from a place of fear and need for interpersonal validation. These feelings are essential factors within all of us, but they have more significance for people with some personality disorders, including BPD. The lesson is that anyone who has such deep feelings and vulnerabilities should make sure that they are not dominated by them, and to make sure that they try to cultivate the good and minimize the bad. For people like me, diagnosed with a disorder, this becomes more important. Polyamory as hedging our bets? This leaves ammunition for critics to argue that people who are polyamorous are merely seeking validation through multiple relationships, overcompensating for insecurities, or possibly that they are incapable of true (monogamous) intimacy, so they seek multiple shallow intimacies to make up for that inability. And, I’ll admit, these charges hit me deep inside, in a place where I am not especially comfortable excavating late at night, when sleep will not come. I admit that this argument has an emotional potency which terrifies me, deep down. This criticism pokes at the very weakness within me, and so when the idea comes to mind, I feel like recoiling into myself and hiding. But isn’t that just like a borderline? I, having a skewed sense of identity and self fueled by fear of rejection, abandonment, and even “impostor syndrome.” I have a fear that I might merely be doing all this having of multiple partners, and advocating for it, as a rationalization for being afraid of being alone. I think, in those moments which torment the soul (metaphorically speaking, of course), that I might just be the kind of person who only is with the people I love because I’m trying to make up for a set of fears, rather than because I genuinely appreciate and care about some people. “splitting” as a cultural trope. And then, as I allow my mind to calm down and think about this (that is, allow the fight/flight physiological response to wane), I realize that while these feelings might be potentially problematic in general, they are, at best, merely part of the tapestry which is me. I am neither the idealized guru of polyamory, contemplating sage-like inspirational maxims about love, living a life of relaxed, reasonable, loving harmony nor am I a manipulative, selfish, and fearful parasite. This cognitive phenomenon of “splitting“, which is so common for borderlines (as well as other personality disorders), prevents me (often, but not always) from seeing myself and others as nuanced, complicated, and often contradictory people. 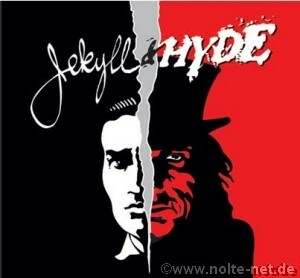 It also doesn’t help when people, angry with me, offer me fuel to think of myself as the latter monster. Having written and said mean, injurious, and abusive things to other people while angry, I understand such outbursts, but they still hurt and get internalized, often. And whereas the person within the cultural milieu of monogamy might find themselves afraid to leave someone who is not good for them until they have a potential replacement (because the times between relationships is so hard for many people), a polyamorous person still has to deal with loss of a relationship, no matter how many other people they have in their lives. Losing someone you love, especially if it’s because of the very thing which causes you the anxiety about abandonment, is always hard even if other people love you. Having other partners does not make it much easier to leave or to lose a partner. Which is not to say it doesn’t help, at least a little, to have loving support around you when things go badly. Ultimately, however, it is a pain that a person has to handle alone, especially in the middle of the night when we torment and punish ourselves for our mistakes. But a person who cares and who will listen and give you emotional support does help, even if it doesn’t stick. Just like in the beginning of life and at the end of life, when we all will face death, the middle is full of moments of being alone. And while this is a universal human experience, those of us who have a broken sense of self or experiences with neglect or rejection feel this pain in a different way. Abandonment will kick us all in the stomach from time to time. Sometimes it will be our fault, sometimes it will be theirs, but more likely the fault will be distributed around. And whether we are monogamous (serially or stably) or non-monogamous, that kick hurts. I am still working out the solution to all this (I may never do so), but for the moment I’m trying to keep in mind that so long as I’m trying to learn from my mistakes, am not allowing my fears to dominate my behaviors, and accepting what is my responsibility, I will be less likely to have my fear of abandonment become a repeated self-fulfilling prophesy. The tension between my yearning for intimacy, my fear of intimacy, my predilection to hide from the world in solitude, and my fear of that same solitude can only be healed by maintaining healthy, emotionally validating relationships with people who not only treat me well, but who understand that I’m struggling very hard to not push people away or to control, have power over, or to manipulate them. And while the responsibility for the behavior that does push people away or make people feel manipulated by or abused by me, falls on me alone, it is also true that a healthy cultural and social environment is the responsibility of the individuals which make it up. Everything from micro-aggressions, invalidating communication, to down right lack of consideration and abuse will exacerbate the issues within us all, rather than create a safe and emotionally healthy space. I will continue to do better on that front, and I will try and seek people who will be trying to do the same, from now on.